Explore the gardens and help Jolly the Unicorn find all of the rabbits to get your very own chocolate treat. Choose between an I-spy trail or Easter fact-finding trail. You can also look forward to family fun on the Croquet Lawn. 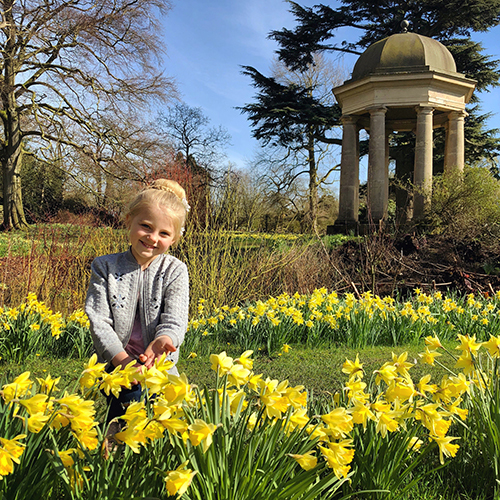 Easter Eggsploration is included in Garden admission. There is no additional charge. The impressive Elizabethan Hall, which has more than 400 years of unbroken family history to explore, will also be open with a free Unicorn Quest. House admission applies. Hall open 12noon – 4.30pm (Gardens 11am). Tickets only valid on selected day, tickets are not timed, you can visit during 12-4.30pm (Gardens from 11am, last entry 3.30pm). Please note that tickets are non refundable and non transferable.